Raising a glass with C.S. Lewis every Tuesday morning and discussing a chapter of his work. The chapter today is really the pivot of The Great Divorce. In it, we meet George MacDonald, a writer whom Lewis had read on earth, but who is now a Bright Spirit. MacDonald explains much to Jack, particularly concerning the troubling accusations raised by the Hard-Bitten Ghost. In case your podcast application has the ability to jump to certain time codes, here are the timestamps for the different parts of the episode. • Matt used his dispensation for the weak week to have alcohol today. He drank Angry Orchard hard cider. I was drinking an Almond-milk Latte. I had given up alcohol for Lent, but I commented that I’d recently been to two Bachelor Parties and gave myself a brief exemption, drinking some Tequila and a pint of Guinness, respectively. • About a week earlier, I had sent Matt a video from The Great Divorce Project. He didn’t watch it. We found out that Matt inherited this trait from his mother. Anyone want to be my new co-host? • I announced that we now have an IGTV Channel on Instagram. I’m currently uploading our YouTube video series. • We heard that Matt’s mother finally came across the infamous “David Copperfield Incident” from the episode on Pride (S1E21). • Matt then offered the 150-word summary. Lewis meets another Bright Spirit, his hero, the Scottish writer and theologian, George MacDonald. He asks him whether the ghosts can really stay. MacDonald assures him they can. He says that, for those who go back, “There is always something they insist on keeping, even at the price of misery…”. They talk about the different ways people become ensnared. At this point, they hear a Ghost complaining at enormous speed to one of the Solid People. MacDonald says the issue is “whether she is a grumbler, or only a grumble”. Leaning on MacDonald’s arm, they walk away and see many different kinds of ghosts. They see one of the Solid People talking with a Ghost who was a famous artist on earth. He is horrified to discover that his art has been completely forgotten on Earth and rushes back to the Grey Town, determined to maintain his legacy. Matt saw in this a description of completed theosis. I referred to a Casting Crowns song about wounds in Heaven. “Then you can tell me! You at least will not deceive me.” Then, supposing that these expressions of confidence needed some explanation, I tried, trembling, to tell this man all that his writings had done for me. I tried to tell how a certain frosty afternoon at Leatherhead Station when I first bought a copy of Phantasies (being then about sixteen years old) had been to me what the first sight of Beatrice had been to Dante: Here begins the New Life. This is an appropriate comparison, because MacDonald is going to be a Beatrice-like figure to Lewis over the course of the rest of this book. In The Divine Comedy, Dante is guided through Hell, Heaven and Purgatory, first by Virgil (a writer whom Dante admired greatly) and then later by Beatrice a lady whom he deeply loved. MacDonald will Lewis’ guide through the rest of this heavenly journey. He laid his hand on mine and stopped me. “Son,” he said, “your love – all love – is of inexpressible value to me. But it may save precious time” (here he suddenly looked very Scotch) “if I inform ye that I am already well acquainted with these biographical details. In fact, I have noticed that your memory misleads you in one or two particulars.” “Oh!” said I, and became still. Funnily enough, Lewis’ memory would eventually mislead him concerning his first reading of MacDonald. Ten years after writing these words, Lewis wrote Surprised By Joy where he describes his purchase of Phantastes and he does actually get some details wrong. Andrew Lazo is really on top of these kind of issues and he mentioned it at the conference I attended a few weeks ago. • Anyway, MacDonald prompts Lewis to ask him the questions which had been troubling him since meeting The Hard-Bitten Ghost. Prudentius was a 4th/5th Century Christian poet from Rome and Jeremy Taylor was Church of England cleric from 17th Century. If they leave that grey town behind it will not have been Hell. To any that leaves it, it is Purgatory. And perhaps ye had better not call this country Heaven. Not Deep Heaven, ye understand.” (Here he smiled at me). “Ye can call it the Valley of the Shadow of Life. And yet to those who stay here it will have been Heaven from the first. And ye can call those sad streets in the town yonder the Valley of the Shadow of Death: but to those who remain there they will have been Hell even from the beginning. MacDonald mentions that the Emperor Trajan made this journey to Heaven. I checked with the always knowledgeable Joy Clarkson and she confirmed my suspicion that Jack is referring to Dante’s Divine Comedy. While some ghosts go to Heaven, others go back to earth and get up to mischief. He even says that literary Ghosts hang around libraries, seeing if anyone is still reading their books. I commented that Lewis was convinced nobody would be reading his books much after he died. Fortunately, his secretary, Walter Hooper proved him wrong (and made certain of it by keeping Jack’s books in print!). I compared it to my experience of school. I hated it and it was Hell, but looking back it was Purgatory. It shaped me and prepared me for my future life…but if I had to stay there, it would have been forever Hell! Matt suggested that, if Purgatory is outside of time, the Catholic and Protestant conception might be closer than we think. 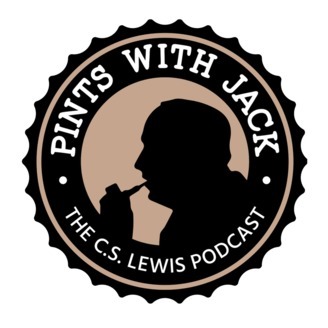 • Lewis asks about sensual sin and we’re told the same theology we encountered in Mere Christianity: the more serious sins are the sins of the spirit, not the sins of the flesh. MacDonald points out that the sensualist is seeking a real good, but in the wrong way and, as such, the pleasure will be diminished and the craving will increase. I compared this to drug addiction and the movie Beautiful Boy which I recently watched. We also compared this to technological addiction. Matt shared about his zero-tolerance policy regarding his Social Media usage. I said that in recent weeks I have put my iPhone on greyscale, completely removing all colour from the phone and this has cut my phone usage in half. Perhaps a shepherd of some sort? A guide for my path? why not spend some time with me? It may change if you leave it. • We’ll be finishing this chapter next week! 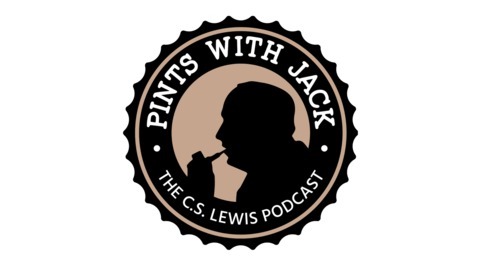 Pints With Jack: Jesus isn’t dull!